Gary Christopher moved to Sarasota in 1983 after earning his degree from Niagara Community College. He worked for local air conditioning contractors in the Sarasota area for ten years until founding Gary Air in 1995 with his wife. Gary takes pride in his integrity and never compromises that when it comes to customers. 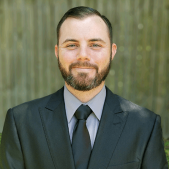 Ryan Christopher is a Sarasota native, a US Army veteran, father, and the youngest of four. While not at work, Ryan enjoys spending time outdoors (hiking, kayaking, soaking up the sun on Siesta) with his girlfriend Erica and his son Aiden. In 2017 he earned his B.A. in Management from the University of South Florida and in 2018 earned his Florida State Certified Air Conditioning contractors license. He has been working for Gary Air since 2014 and looks to follow in his father’s footsteps. He believes that a strong sense of ethical business practices intertwined with positive values while being fully upfront and transparent is how a business should be running. He incorporates this culture and mindset, both at work and in his personal life. 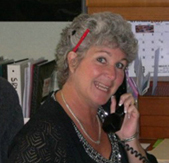 Diana Christopher has been with Gary Air since its beginnings in 1995 when she and her husband founded the company. “D” believes that Gary Air is a “southern company with a northern service attitude.” Her main focus when servicing a customer is punctuality and assuring that the customer recieves the best service possible. “D” hails from Kalamazoo, Michigan and moved to the Sarasota area in 1989 where she obtained her Associates Degree at Manatee Community College. 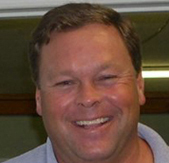 Bob Thurber has been General Manager of Gary Air since joining them at the start of the company in 1995. He has helped the company thrive with his excellent customer service and “service with a smile” attitude. 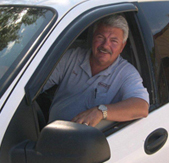 “Bobby” has field experience which he believes aids him in the process of evaluating what is in the best interest of the customer when they purchase a new indoor comfort system. Bobby graduated from Lafayette College in Pennsylvania, double-majoring in Law and Psychology before moving to Florida in 1992. On a personal note he is a contributor to the “Mothers Helping Mothers,” “American Cancer Society” and “Habitat for Humanity” charities.